The Bill will help to collect the targeted Ksh.1 billion revenue in the financial year 2018-19. 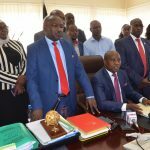 The revenue raised will ensure that Nyeri residents enjoy the real fruits of devolution since the money will be ploughed back to render essential services. The bill has introduced measures to seal revenue leakages. 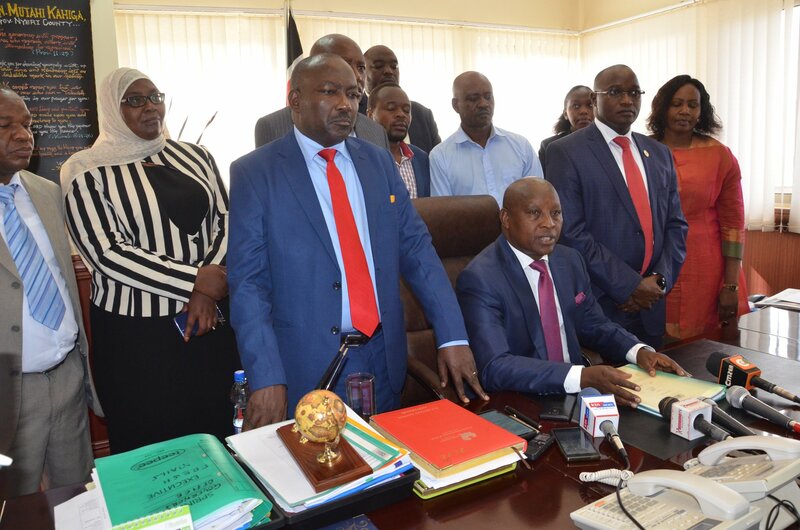 In the Month of September 2018, the County Government of Nyeri is also expected launch a new automated Revenue Management System which will help seal loopholes detected and make revenue collection efficient and accountable. 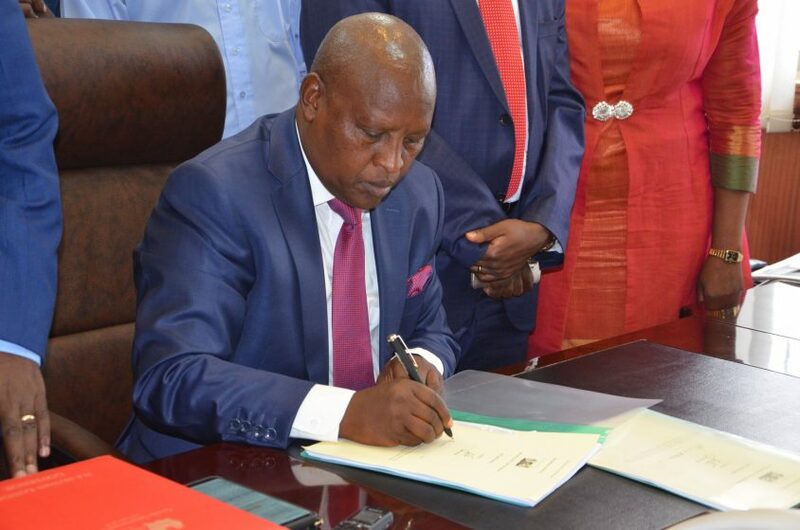 The Governor lauded the County Assembly members for passing the bill after a long and tedious process. He thanked them for their commitment to serve the people of Nyeri. The Speaker of the County Assembly Hon John Kaguchia encouraged members to continue working together to ensure the county benefits from good laws. The Governor and the Speaker urged President Uhuru Kenyatta not to slash the equitable Shareable Revenue due to the counties. If it is to happen Nyeri stands to lose approx. Ksh. 160 million. Others who witnessed the signing of the bill included Nyeri Majority Leader Hon. James Kanyugo, Nyeri Finance Committee Chairman Hon. Atanasio Wakabaire and Finance and Accounting Chief Officer John Ngugi amongst others. The bill will now proceed to the Government Printers for gazetting in accordance with the provisions of the Constitution and the County Governments Act, 2012 in order to take legal effect.